As any operator can attest, successfully managing a business, in the telecom landscape, entails managing the inherent sub-divisions well, such as revenue generation, cost optimisation, customer experience, and operational efficiency etc. By arranging and integrating each individual piece of the puzzle perfectly, we can achieve a desired business outcome, which is all part of the big picture of the company. A major challenge here would be how to get each piece of the puzzle correct, in order to adapt to the dynamic market conditions. This is made even more challenging as the Telecom domain is one of the most competitive industries, facing tighter margins, increasing competition, and decreasing customer stickiness, beyond multiple other factors. Through the dynamic measurement of metrics, telecom operators can be provided with a window of opportunity to either increase revenues or mitigate reputational damage in an era where negative reports on social media have the possibility of going viral. It can also be used towards resolving network issues and so on. In such a scenario, an Anomaly detection tool can be the perfect piece of the puzzle in terms of addressing the aforementioned issues and much more. By utilizing an anomaly detection tool, one can identify any significant deviation from set patterns in a timely manner. In this blog series, we look closing into the following major areas of the telecom business and demonstrate anomaly detection can be implemented over each of them, to create a larger impact. Revenue generation is one of the most critical parameters which businesses should focus on, along with ensuring optimal customer satisfaction. Listed below, are the major ways through which Telecom operators can adopt to generate direct & indirect revenues to increase ARPU (Average Revenue Per User). An Anomaly detection framework can be applied to all the following mentioned metrics to identify opportunities. Indirect revenue generation opportunity: Indirect revenue generation can be harnessed by looking for windows of opportunity through the measurement of various metrics. For instance, timely identification of short-term users, and converting them to long-term users by offering them discounts, can help in revenue generation. 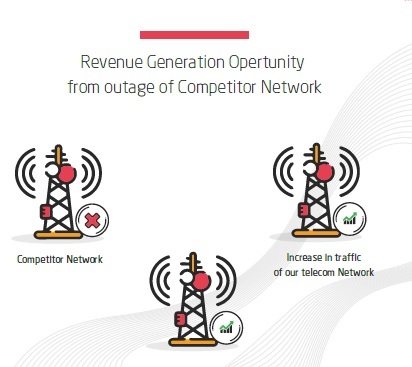 Example 1: Revenue generation opportunity from a competitor’s network outage by using anomaly detection. Example 2: Revenue generation opportunity by detecting viral applications from value-added services using Anomaly detection. In both of the above examples, the key lies in identifying underlying trends early and capitalizing on it. In the first example, if an operator is able to quickly identify the spike in their network traffic, and correlate it with the decrease in calls from a competitor’s network, it gives them a fair idea about the network outage in a competitor’s network. 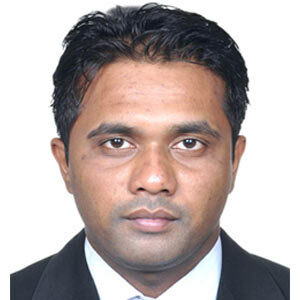 This presents them a readymade database of prospects for whom a Marketing campaign can be tailored and executed. The second example shows how operators can discover opportunities by spotting adoption trends earlier than others. Some of the value-added services tend to crop up in specific geographies and gain virality in a short period of time. By detecting such signals early and offering similar services across different geographies, providers can increase customer satisfaction by attaining a ‘first mover advantage’ and this also opens doors to increase market share by increasing the customer base. 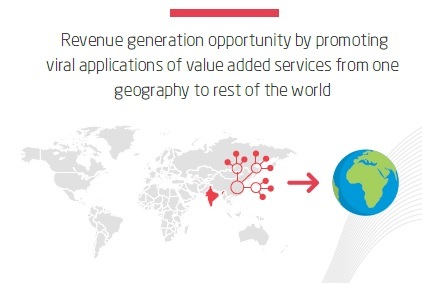 Some of the value-added services can start in developed markets, and by replicating or promoting those value-added services in developing market quickly, telecom service providers can create revenue generation opportunities from the large untapped markets. Anomaly detection is extremely beneficial to monitor various metrics across various aspects of the business through a one single screen, which in turn provides operators with a holistic picture rather than one in isolation. It is important to note that while the harm caused due to these abnormalities might not be immediately apparent, they can potentially do a considerable amount of harm to the business in the long run. Anomaly detection tools can alert the business owner in a timely manner so that countermeasures can be taken quickly to avoid irreversible damages than if identified in the later stage. In the next part of this blog series, we will take a look at how Telecom Anomaly Detection can help in cost saving and OPEX optimization. Learn how CrunchMetrics can help in managing your network operations and increase revenue with anomaly detection.